The French classes are given in small groups. The limited size of these groups allows for more effective teaching and encourages interaction. They develop students’ independence so that they can express themselves more freely. 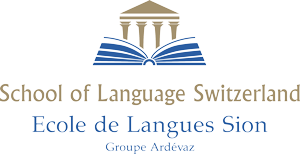 École Ardévaz-SLS offers various packages tailored to stays from 1 week to 1 year with 15 to 17 hours of weekly French classes. During their course, whatever its length, students meet different teachers to become used to a variety of expressions and accents. Our programmes can lead to institution-level certification, official certification (DELF).